Tourists in Japan are often enthralled with the country’s seemingly seamless blend of traditional and modern culture. Nowhere is that more on display than in Kyoto: a place where geisha can still be seen walking down lantern-lit, stone-cobbled streets, their faces glued to smartphones. Kyoto is both the protector of Japan’s cultural heritage and the innovator of its future. This dual existence is exemplified in the tea beer at Kyoto Beer Lab, Cha Brewing LLC. 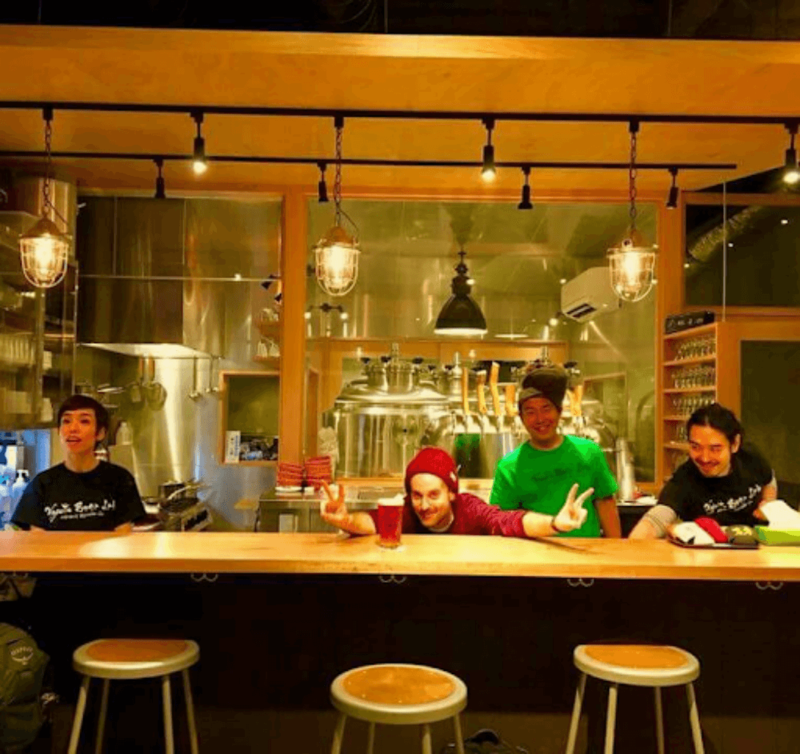 The brewery is the fruition of a collaboration between Tom Ainsworth, Hiroki Yokoyama, and Hidekazu Muragishi. Fellow drummers (and beer enthusiasts), Tom and Hiroki wanted a place of their own to have good craft beer and listen to music. The craft beer movement has been steadily gaining speed in Japan, but the pair felt there was still room to make their mark. However, they needed a way to make their brews stand out: enter Hidekazu and Wazuka Tea. Wazuka, Kyoto, has been a designated tea district since the Kamakura Period. Having devoted centuries to their tea, the plant has s(t)eeped its way into nearly every aspect of the local life and culinary culture. Seeing the prolific and delicious way in which Wazuka tea had been used in local foods and drinks, Hidekazu thought, “why not beer?” When tea shops in Kyoto advertise “matcha beer”, they are often selling a normal lager or dark ale with green food dye and some semblance of a tea flavor–Hidekaza knew it could be done better. After a particularly lubricated night out with Tom and Hiroki, the trio vowed to make craft beer with Wazuka tea. Kyoto Beer Lab is on a mission to show the world how delicious authentic craft beer made with authentic ujicha can be. 8 taps in constant rotation mean that no two trips to the brewery are the same. Their flagship, cha (tea) beers, the houjicha stout, kabusecha white ale, and sencha pale ale, are always available on tap or in bottles. The Houjicha stout, a classic stout infused with hojicha green tea, is a must. Hojicha is a unique style of Japanese green tea. Whereas most green tea leaves are steamed, hojicha is kilned using charcoal to achieve a dark coloration and roasted flavor. Any fan of stout can probably already taste the smooth dark malts and smokey atmosphere of the roasted tea. Situated in the quiet district of Shimogyo, along a babbling brook lined with breathtaking cherry and plum blossoms, Kyoto Beer Lab’s neighborhood is a picturesque get-away from the bustling streets of Gion and Sanjo. The brewery is a short walk over the Kamogawa River from Shijichijo Station. It can also be reached from Kyoto station within a 15-minute walk. It is an excellent place to relax after a hard day of tourism. More than just great beer and delicious food, the staff will be sure to provide you will excellent conversation and advice about their city. 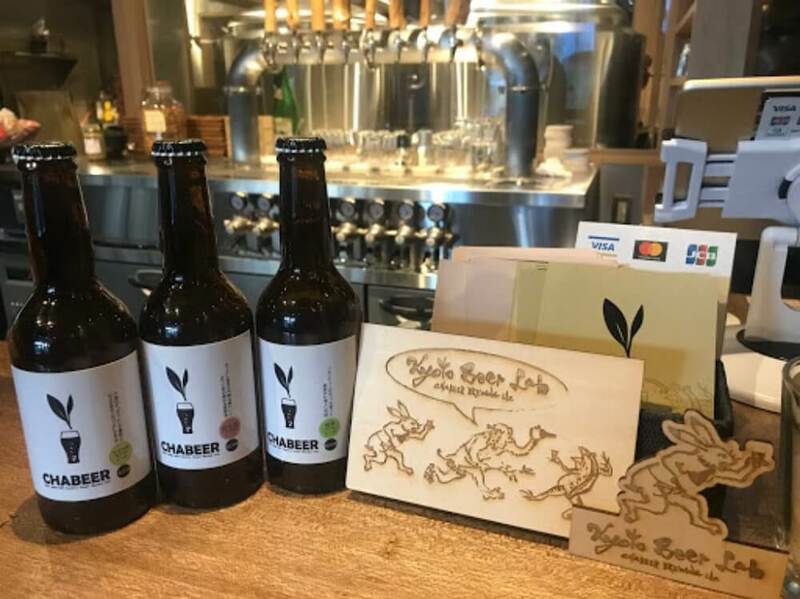 Kyoto Beer Lab also hosts cultural events like art exhibitions, English-language rakugo (traditional Japanese storytelling), and live concerts. Most importantly, with an Aussie brewing in the back and bilingual bartenders up front, English is never a problem. At the moment, Tom’s recommendation is Lazy Dayze: a “dreamy, creamy IPA”. The writer’s personal favorite is the Sucker Punch Sour; at 8.5% ABV and sour as a lemon, 4 out of 5 dentists do NOT recommend it! Whether it’s the water of Pilsen that gave birth to the Pilsner style, the native yeasts and bacteria of Belgium that imbued lambics with their unique flavors, or the blend of history and modernity that defines Kyoto, Wazuka, and Beer Labs’ cha brews, beer has always been closely associated with the areas in which it is made. 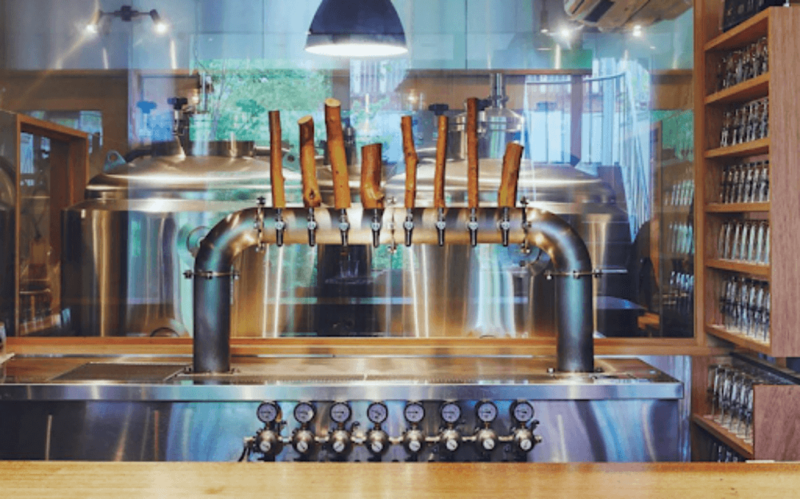 The modern craft movement is nothing more than a play on what Kyoto has been doing for years–preserving and honoring ancient ways while reinventing them for modern audiences–and Kyoto Beer Lab is the perfect embodiment of that tradition. Want to learn more about drinking in Japan and enjoy an evening of local food and drinks pairings? Join our Sake and Whisky Nightlife Tour in Kyoto! Nick is a Michigan-native, living in Kansai Japan. He is an avid outdoorsman who spends most of his free time exploring the mountains of Japan and writing inside his tent after a good hike. If you ever need a run-down on Japanese trail foods, he's your guy. You can read his personal prose and short stories at his blog, Rafiki's Nikki (www.rafikisnikki.wordpress.com).